Indulge in the same flavors as the original Natural Goddess Dressing while sticking to your diet with delicious Natural Lite Goddess Dressing from Annie's Homegrown. 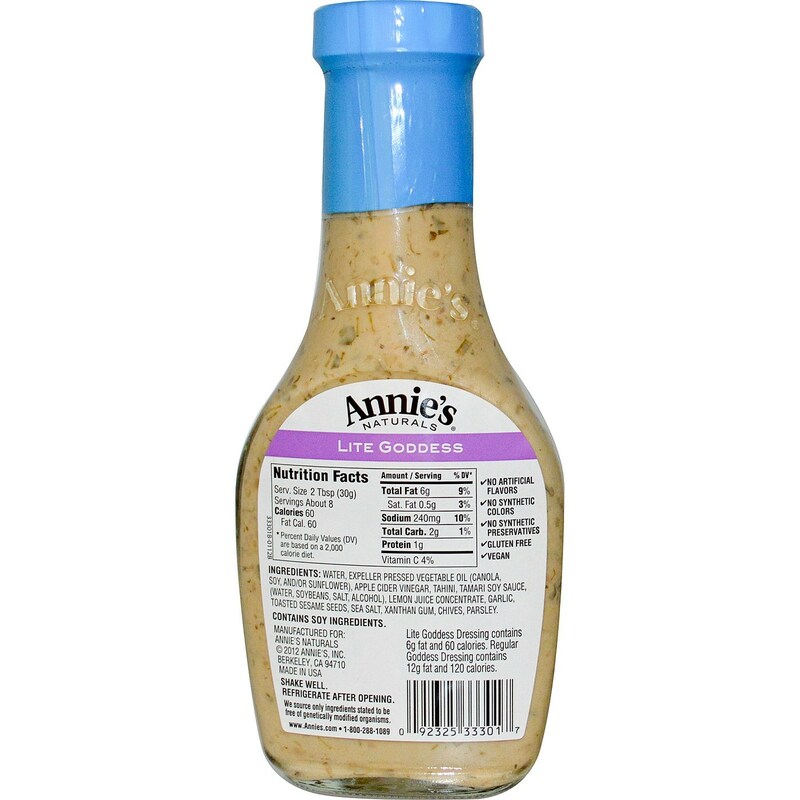 Annie's Homegrown's Natural Lite Goddess Dressing has only 60 calories and 6 g of fat per serving with no cholesterol or added sugar. This dressing mixes the same great flavors as the original -- tahini, chive, lemon and parsley -- but keeps your meals on the lighter side. 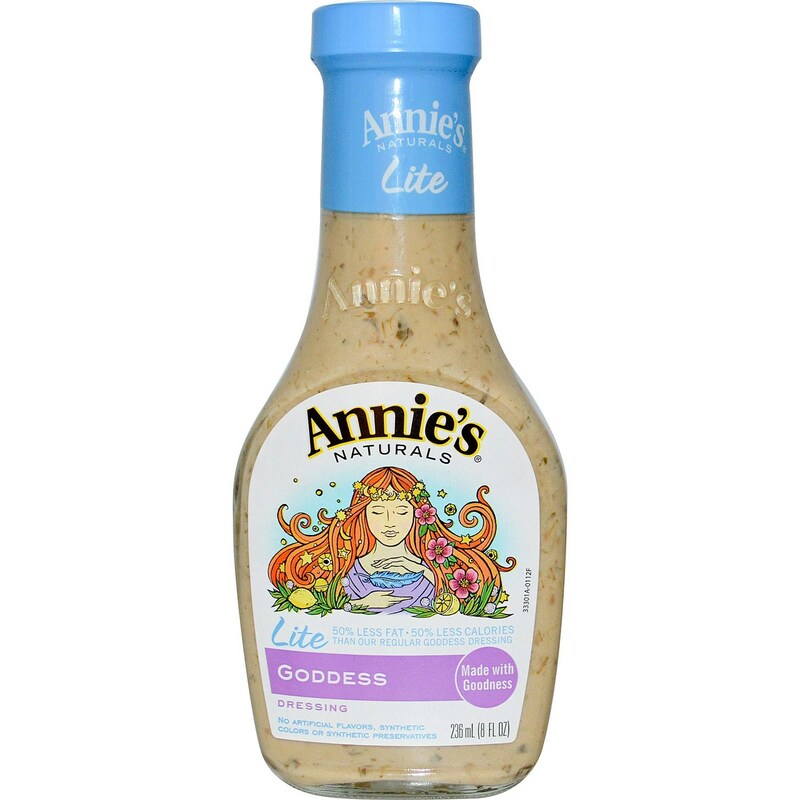 Natural Lite Goddess Dressing from Annie's Homegrown is the guilt-free way to enjoy one of your favorite salad dressings more often. Pick up a bottle today and save big at eVitamins! 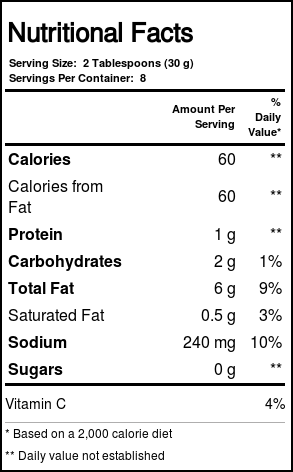 Warnings: Ingredients, nutrition facts and allergen statements can change. Always refer to the actual package for the most complete and accurate information. Notes: Contains no artificial colors or preservatives gluten. Suitable for vegans. Recommended Use: Enjoy 2 tbsp on your salad or use as a marinade.